How Strong Was Chimay Beer 139 Years Ago? This 1877 Belgian Journal of Medicine issue, see pg. 65, reported on the analytics of beers from Belgium, Luxembourg, Germany, and the U.K. They were sourced from different towns in Belgium except the foreign beers, which were from taverns “les plus en vogue” in Brussels. Only one beer, a lambic, is specified as bottled, so it appears the rest were draft. 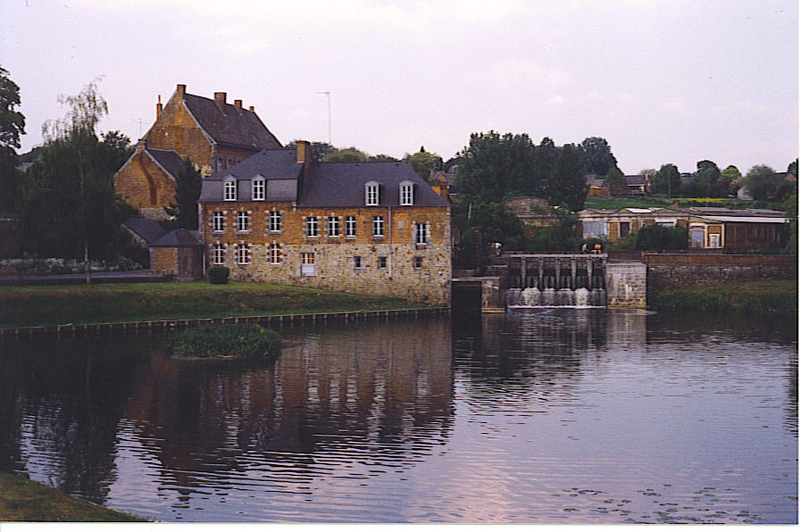 The “bière de l’abbaye de Forges” is from Chimay monastery, yes, the same Chimay beer we know and admire today. The full name is Abbaye de Notre-Dame de Scourmont. 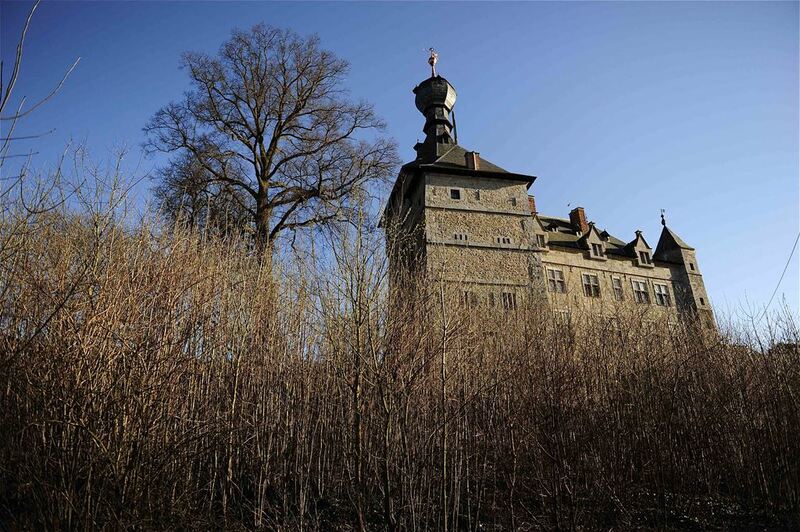 It was built in 1850 on the Scourmont plateau at Forges, a hamlet now in the municipality of Chimay. Chimay beer, in 1877, is stated to be “7.2%”, almost surely alcohol by volume, the typical way the French measured it in drinks. 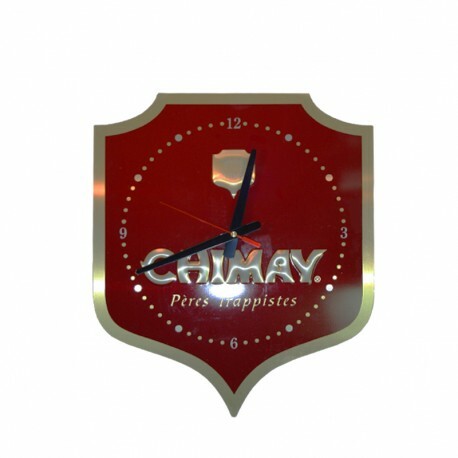 Modern Chimay Red, or Première as it is also known, is 7% – to all intents the same. The closest beers in alcohol were a Scotch ale, at 7.1%, basically the same as Chimay, and an English Burton ale, at 5.9%, so a point under. The other beers from Belgium, and Luxembourg, were much weaker, about half of the strength of Chimay. The British beers appear pretty much what one would expect, some a tad under the norm perhaps. The account states the figures are not averages of a large sample but simply represent the beers selected. Still, one can see how low in alcohol the typical Belgian and Luxembourg beers were compared even to today’s lager norm of 5% abv. These low figures are consistent with what brewer and writer George Johnson reported in 1895 as I stated in my last post. He gave an original gravity range of 1025-1040, or 2.5%-4.5% abv more or less. I do not say the 1877 beer is in taste “the same” as Chimay Red of today. 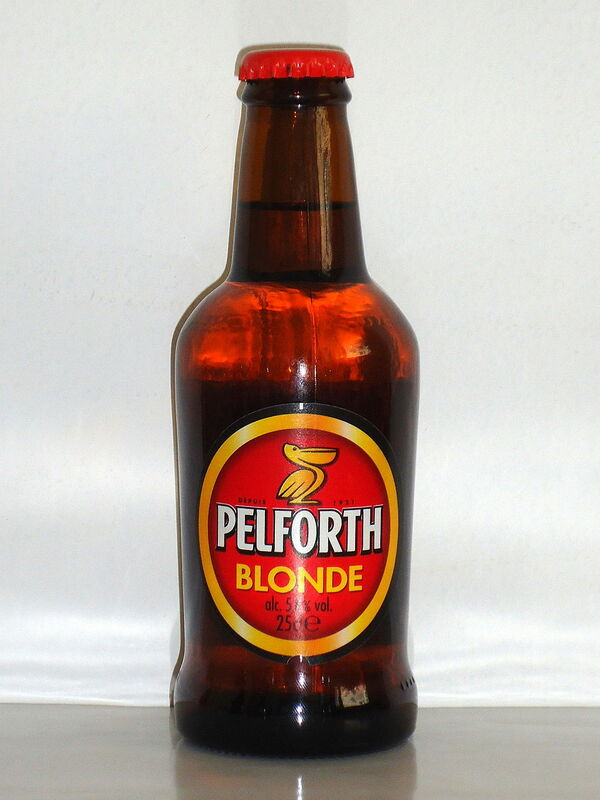 The yeast in the current beer was isolated by Father Théodore in the late 1940s, for one thing. But the strength is the same, and the colour. Certainly Chimay Trappist ale stood out as strong among Belgian beers of its day. It may not have been what the fathers drank day-to-day, but it was the strength sold in the market, the same as Chimay Red today. The monks at Scourmont have stayed consistent in this respect from the outset, for colour as well. Many things alter over time, but if anything should stay the same in a beer of repute, it is colour (which can influence taste), fermentation method, and strength. And they have. As to what grains were used in Chimay in 1877, I cannot say. In abbey brewing in a much earlier period, c.1000, inventories (Polyptyques) of abbey estates suggested a range was used: malts of barley and spelt, sometimes oats, and wheat. Spelt often entered into Belgian saison of the 19th century, so it may have in Chimay’s beer, too. Knowing what grains Chimay raised or malted in this period might help to answer this question. Early records of the Melleray Abbey, which I discussed in my last post, might assist as well. Important as the grains are, I don’t think the cereals composition was critical if the bière de l’abbaye de Forges was made mostly from barley malt, and I believe it was. The best beers of the U.K. then were also top-fermented and of a similar strength: good mild and old ale, Burton, stout, Scotch ale. Not all were brown, but many were. Of course, in this period they were all-malt, except for any which used some sugar, allowed in British brewing since about 1845. One may reflect that fine Belgian ales today frequently use malt + sugar. Perhaps Chimay in 1877 was the same, as today sugar is part of the mash. Taken with what I discussed in my previous post, the strength of Chimay in 1877 is consistent with an English connection, at least. Note on images: the images above, of a castle in Chimay, Belgium, an advertising item for Chimay beer, and an extract of a Polyptyque of Irminon Abbey, were sourced here (a premier Belgian beer tourism site), here (a site offering branded Chimay items), and here (Wikipedia). All images are believed available for educational and historical purposes. All feedback welcomed. Are Belgian Trappist And Abbey Beers of English Inspiration? Most beer fans, and many casual ones, know that Belgium has a number of Trappist breweries, such as Westmalle, Chimay, Orval. Some know that Trappist breweries exist in some other countries including Italy and the U.S.
Trappist beers are generally bottled unfiltered, are top-fermented (“ale”), and on the strong side. Many are the brown, “dubbel” type, varying in alcohol from 6-10% abv and more. 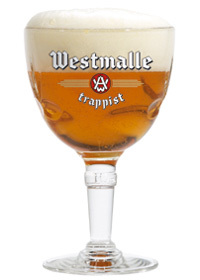 Some Trappist is now available on draft including Chimay White (a tripel-style) and Westmalle Dubbel. 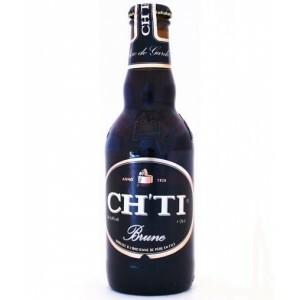 Chimay has two brown-coloured beers, the Red, 7% abv, and the stronger, richer Blue (9%). The brewery also makes a weaker or single beer, the Gold. It is reserved for the use of the fathers but is occasionally made available beyond the abbey gate. The highly traditional Westvleteren has a more or less similar line including a 5.8% golden, as does Abbey Rochefort save it has no pale beer. Some other Trappist breweries make a golden or pale beer as well, e.g., Achel. Orval monastery’s beer is rather different, more like a strong, modern English pale ale but with a notable brettanomyces (wild yeast) element. It may well imitate a well-matured English pale ale of the 1930s, when the recipe was devised. The browns don’t all taste the same, but their typically Belgian yeast background gives them a certain unity. This yeast and the generally higher temperatures used in fermentation result in distinctive, estery profiles. Notes of banana, raisin and cinnamon tend to stand out. The tripel of Westmalle, a heady, blonde, top-fermented beer which has been much imitated by other breweries, is the other major Trappist type. To my taste there is a chalky yeast connection with the dubbel family but the palate diverges into bready notes (no chocolate-cocoa) and yellow fruit esters as in pears, or some kinds of apple. It is rather sparkling wine-like. Perhaps the tripel’s yeast, at least, is of French wine-making origin. The same may apply for Duvel, the secular strong golden ale. Some of the newer Trappist breweries make other styles now, one of the Dutch ones makes a wheat beer, for example. The old Belgian Trappist breweries have mostly upgraded their small plants and submitted inevitably to some contemporary trends. Some use sugar in the mash or other forms of non-malt carbohydrate, for example. Chimay since about 1990 uses closed fermenters of the Nathan type in which the yeast, which collects in a cone at the bottom, may behave differently than in a square open fermenter. Once again what most of these beers share is strength. Orval starts at 6.2% and the other, regularly available Trappists go from there to 10% or more. When you look at 19th century sources on Belgian beer and breweries, e.g., George Johnson’s 1895 survey, one is struck by the low gravities of the peoples’ beer. This is a good summary of Johnson’s much longer article, albeit not mentioning the gravity range, which was 1025-1040 with fairly low attenuation, so equating perhaps 2.5-4.5% abv. There were exceptions, notably lambic which could reach 6% abv or more. In that period the weaker faro, still made in Belgium, was the more typical drink of the lambic family though, 4-5% abv. Johnson’s and this 1862 report from National Magazine on (mostly) Belgian beers don’t mention Trappist or any kind of monastic brewing. The 1862 piece includes some fairly detailed descriptions of Belgian styles, some still current today, some long gone such as beers made with potatoes! Some were made until fairly recently, e.g., Peeterman and uitzet. (While a brand called Uitzet exists today it does not apparently use the hop which gave the beer its signature in the 1800s). Since it is known that some abbeys did brew then, the lack of mention is probably because the abbey-brewed beers were for the fathers’ own use or, if made available to the public, it was only locally. The survey-writers, especially foreign ones, would not have known of these beers. Certainly Westmalle was brewing in the 1840s-50s and in fact a report exists in English from 1847 describing a visit to the monastery and the high quality of the beer. No indication is given of style. I suspect Westmalle’s beer was stronger than the norm mentioned by Johnson. It is true that WW I stimulated the production of strong beer in Belgium due to the Loi Vandervelde which banned spirits production. Still, monks have always had a reputation for making good beer, and one index of a good beer was high strength. Many sources confirm that monasteries made two kinds of beer in the Middle Ages, strong beer for the fathers (bière des pères), and weaker beer for nuns (bière des couvents). Why would this old tradition not have continued at least for special occasions? I doubt, given the Rule of Saint Benedict allowed monks to drink, that fussy distinctions were made about gravities even before the Loi Vandervelde. Also, in an 1824 history of the Melleray Abbey in Brittany and similar establishments, Louis Du Bois notes (see pg. 201) that the restored Melleray abbey contained a brewery which followed “English practice”. In this particular case, monks had relocated to Melleray in 1817 from England to help restore the monastery, which had been sold off during the French Revolution. English ale was notably strong c.1820 (7% abv plus), being produced from the first mash and not mixed with weaker extracts. “English practice” probably meant this Melleray beer was like contemporary English ale and also, probably all-malt as English beer was then too. Belgian Trappist beers also were all-malt initially as far as I can tell, and only later adopted use of sugar or other adjuncts (which only slightly affects their character). Contrast with this the popular Belgian beers which used, and some still do, large amounts of raw grains such as wheat, oats, rye and even corn. Given the close relationships between the monasteries, even in different countries, I think the practice to brew in the English way may have spread early, possibly even before the French Revolution. Cistercian settlements were common in Britain and given the English mastery of brewing and prestige in the field, it is plausible the English way became the Trappist way. At least, these Trappist and abbey beers resemble British ale in its heyday more than they do the sour lambic, faro, Flemish red ale and saison (also typically sourish), fruited beers, and wit beers. Note re images: the first image above, of Westmalle Tripel in the goblet, is from Westmalle’s website, here. 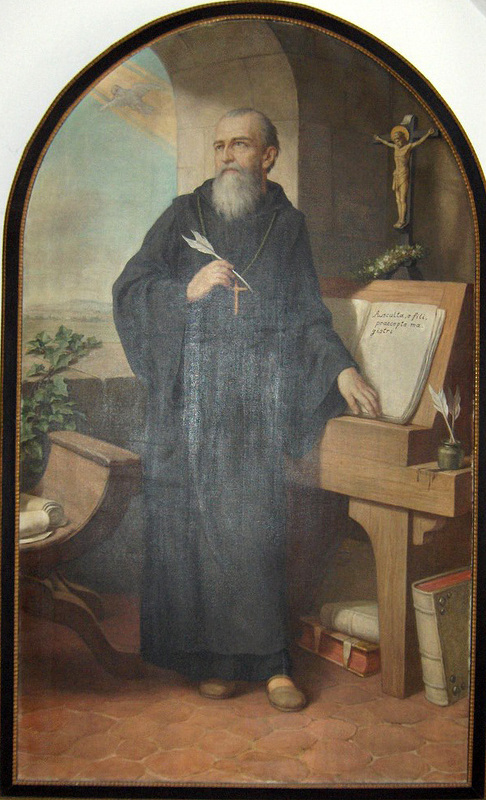 The second image, a reproduction of a Hermann Nigg painting, is from Wikipedia’s entry on St. Benedict, here. The third image is from a Westvletern beer site, here. The fourth is from an Untappd label page, here. 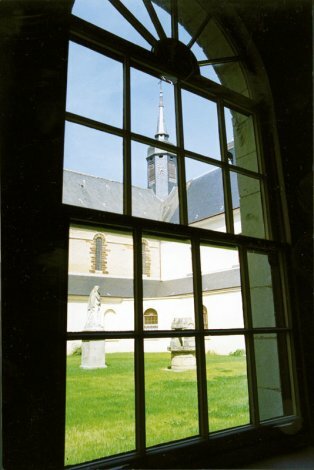 The last is from the website of Abbaye de Melleray in France, here. All are believed available for educational or historical purposes. All feedback welcomed. 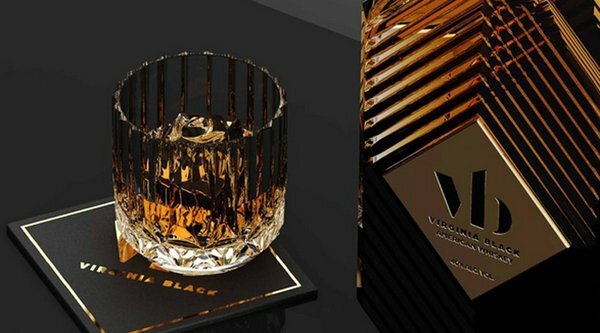 According to the website, www.virginiablackwhiskey.com, Virginia Black American Whiskey is a collaboration between Brent Hocking, who created the Original Deleón Tequila, and Drake, the rap artist, song writer, film actor and international celebrity. There was a pre-launch recently at the Summerhill LCBO in Toronto. I did not attend but understand the whiskey was previewed there. It’s not yet on the shelves but you can pre-order it from the Vintages LCBO website, which I promptly did after tasting it. I’m not exactly sure when it will be available in Ontario but according to this story in Maxim two days ago, it is coming out on May 1 in some U.S. states. I’d think it will be here by summer. A bottle is at the tasting bar at the Summerhill LCBO. You can buy a sample (cost: 50 cents). While it is small, I had two, the maximum allowed, certainly enough to scope the product. Beer Et Seq has considerable experience with bourbon and other whiskeys. I visited Kentucky perhaps 20 times from 2001 until recently, and was active over that period in www.straightbourbon.com, and other consumer bourbon forums. I was named Bourbonian Of The Year by straightbourbon.com’s owner a few years ago. I have also read extensively in bourbon literature from the origins of bourbon until today. I mention this, not to puff myself up, but simply to point out that I know what good American (and other) whiskey is. I’ve had them from a wide variety of sources, made over a long period including bourbons from old distilleries no longer operating. Until recently, due to the former bourbon glut, you could buy bourbons and other whiskey made decades ago but still being sold at retail in the U.S. I know the bourbon palate, what well-modulated and mingled bourbon is, and its contrary, when bourbon is too old or too young or has an errant taste of some kind. And I say, Virginia Black American Whiskey is outstandingly good. At $39.95 a bottle (CAN), it will be worth every penny and then some. The whiskey is, according to the website, a combination of bourbons aged two, three years, and four years. Normally, I feel I can taste whiskey which is very young. There is a characteristic note to it, hard to explain in words. Rubbery or soapy, say, get close. The Virginia Black has none of that taste. I would have thought it was 4-6 years old at least. The whiskeys in it obviously are selected and mingled very carefully. According to the Maxim story, the whiskey is actually not made in Virginia, the source is not stated, but I’d guess by the flavour it is Kentucky bourbon. The word Virginia was chosen for other associations – see the Maxim story again. The colour is not really black, it seemed a normal bourbon colour, I’d think black in the name pertains to the packaging and promotional material. The word decadent in the labeling is well-chosen as the whiskey has a full, lush taste. It seemed almost like a combination of a very good bourbon and a rich, silky brandy or dark rum. I’d think it will be very popular due both to Drake’s fame and the inherent quality. Note re image: the image above was sourced from the website mentioned above for Virginia Black American Whiskey. Image is believed available for educational and historical purposes. All feedback welcomed. 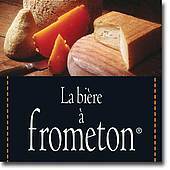 Our theme lately is cheese, beer, France. 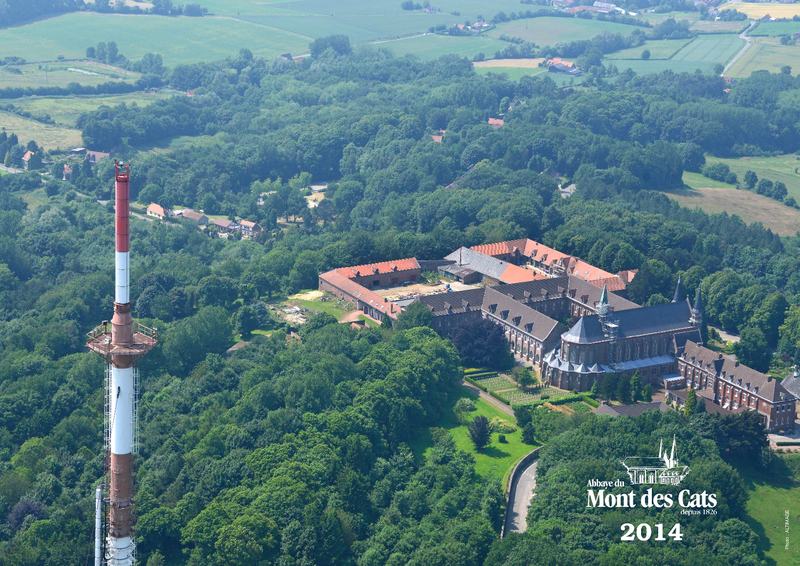 Let’s continue with an example where all are in one place: the Mont des Cats Abbey in the far north of France, along the French-Belgian border. The monastery’s origins date to the 1600s when Antonine priests established a community on the present location. The French Revolution terminated its activities and as for numerous other abbeys, the monastic presence was restored at Mont des Cats, with a newly-funded Trappist order. This was in 1829, and in 1890 the brothers founded cheese-making to help sustain the community. A brewery also was in operation. Accounts suggest the beer was brown, strong, spicy. It is difficult to know what type it was, and 19th century accounts of Belgian and French brewing do not mention a “Trappist” or abbey-style as such. It may have been a tart ale, it may have been a porter-type. Late in WW I, bombardment destroyed part of the monastery and all brewing ceased. It has never started up again on premises, but Mont des Cats has had a beer for some years now. It is made for the abbey by fellow Benedictines at the famous Chimay monastery in Scourmont, in French-speaking Belgium. The Mont des Cats beer is not a rebrand of an existing Chimay beer, but seems generally in the style of numerous, modern bières Trappistes. Useful reviews can be read at Beer Advocate, here. Think apple, caramel, yeasty, rounded. Mont des Cats beer is not made within the walls of the named monastery. Therefore, it is not technically a Trappist beer, under the rules that is of an international grouping of Trappist breweries which confers the right to use the label “Authentic Trappist” on beers which meet its definition. 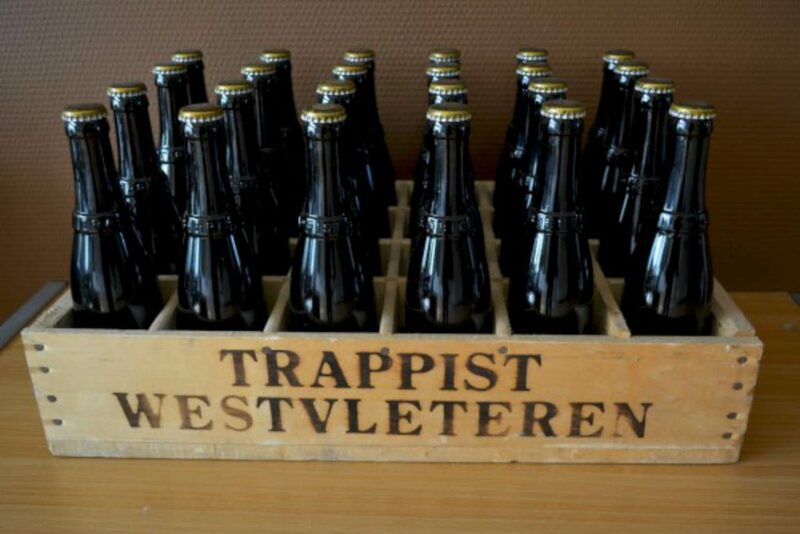 But since the beer is made by Trappists at another location, it has an authenticity few “abbey” beers – beers of monastic origin but no longer made by monks – have. The cheese is of the semi-soft, Port-du-Salut or Saint-Paulin (a more commercialised) type, as are Chimay’s own well-known cheeses. The Port-du-Salut abbey was one of the monastic revivals of the 1800s, in the western pays of the Loire. The monks set up cheese-making and evolved a type which has spread through the world. Initially this occurred through the Trappists’ international network and the resultant mutual relationships and support. In some cases, monks moved from Port Salut to other monasteries to help their brethren set up cheese-making, or communicated information and advice on how to do it. This is why many French, Belgian and North American Trappist cheeses, or cheeses originally in that style (some have been commercialized), have a family resemblance – but there are many similar cheeses elsewhere, including Eastern Europe. Bosnia provides an example and indeed history records its monastery was the first to employ the designation, Trappist Cheese. Not all Trappist cheeses are of the semi-soft, mild type but a good many still are and this provides a singular unity to them, one shared now with the many secular producers of a similar style. In Canada, the classic Oka was originally made by Trappist fathers near Montreal, trained in cheese-making by monks from Port-du-Salut. The method to make Oka and the name were eventually sold to the large dairy cooperative, Agropur. However, a tiny operation in Holland, Manitoba run by an aged father, which claims to use the Oka formulation from a century ago, still makes a Trappist cheese there. This press account gives the very interesting background. 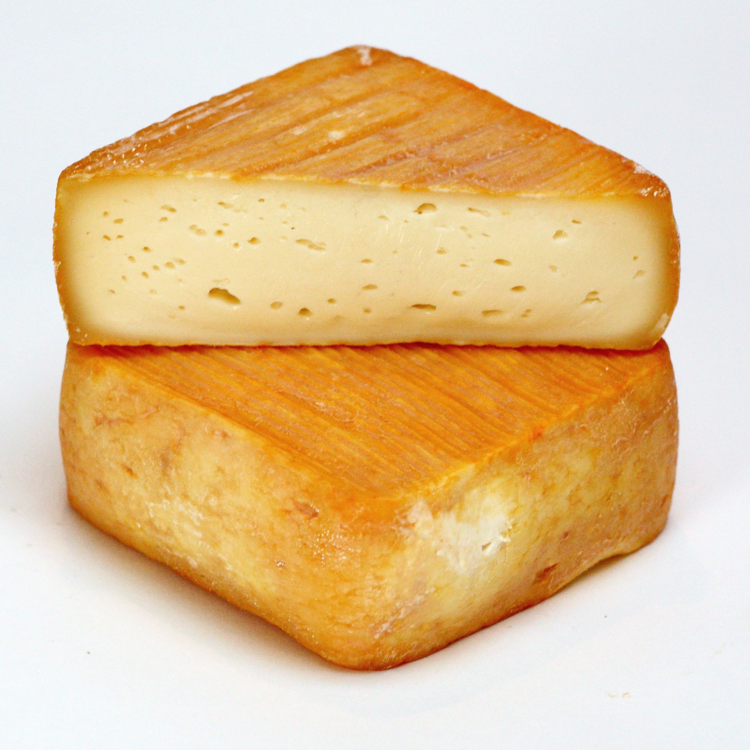 Mont des Cats is a similar case in that Port Salut was a seminal influence on its cheese-making. Unlike the cheeses of Nord Pas-de-Calais I have been discussing to date, Mont des Cats cheese is on the mild side, as Oka is, as Chimay’s is. This is a generalization as the monasteries often make different qualities and maturation time can affect the palate, as can the temperature at which the milk is heated, if applicable. Some cheese, that is, uses pasteurized milk, some uses lightly-heated milk, some avoid any type of heating. Mont des Cats sources its milk from area farms and the milk is lightly heated to preserve as much taste as possible yet be suitable for the minimum level of production and distribution the cheese operation requires. I haven’t tried Mont des Cats cheese yet, but I know Oka cheese well, and Chimay’s. 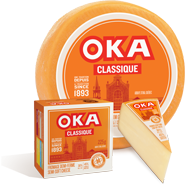 The Oka “Classic” version is extremely good, very French-tasting and surely one of the best in the world of this class of cheese. Numerous Toronto stores sell it, I bought some at Longo’s recently which was first rate. Some here know of Beer Et Seq’s interest in Kentucky and its bourbon. It may be noted that a monastery in bourbon country, Abbey of Gethsemani founded in 1848, made cheese for almost 60 years after WW II but recently stopped due to the ever-smaller number of monks on premises. Still, the abbey produces a number of other interesting foods, not least a bourbon-infused fruitcake, which is nationally known. I would suspect that Mont des Cats beer accompanies well the order’s cheese. 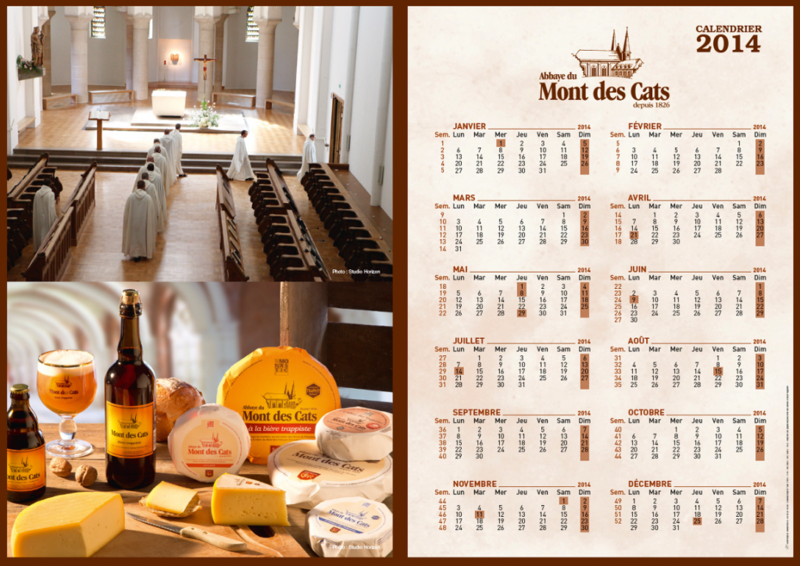 True, unlike the cheese, the beer is not made at Mont des Cats, but it emerges from a vision the fathers had of what would be suitable to associate with their community, and it is made by fellow Benedictines not far away. But even if not the ideal alliance from the palate point of view, these products have harmony at a different, indeed higher, level. All cheeses do around the world of a Trappist origin, or inspiration. That is a satisfaction of a special kind for the gastronomic quester. Note re images: the first two images above are from the website of the Mont des Cats abbey, here. The third is from Agropur’s web page on its cheeses, here. All are believed available for educational and cultural purposes. All feedback welcomed. The problem with fine things to eat or drink is, they sometimes don’t continue. A key ingredient may no longer be available, the next generation of a family decides to sell out, some development of technology renders a valued food obsolete. 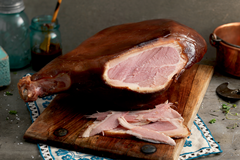 The diversity of ham cures went out the window once methodical cooling and freezing permitted the preservation of food without salt or other chemicals. Anyone living in Toronto is familiar with the ubiquity of “Black Forest Ham”. Other types exist but a vast number of commodity sandwiches sold day in day out use this form of meat. It`s a good standard quality, but there is not a lot of choice unless you search it out. The beers of Young’s brewery in London were in high repute, but the land the brewery sat on was worth a king’s fortune. The brewery was closed and the brands were sold to the ambitious independent, Charles Wells of Bedford some years ago. The beers continue, produced now in Bedford, one hopes with fidelity to the originals. (And yes, even products of the same producer can change over time, but that is a different, more nuanced process than I am addressing here). In the U.S., a renowned cheese of the late 1800s-mid-1900s, Liederkranz, finally disappeared from the market. It was of the Limburger type, favoured originally by those of German heritage. Maybe a key farm making it went out of business, maybe a health regulation came in and put the kibosh on the distinctiveness. This happens all the time. There is a good ending though: a company revived the cheese albeit after a 25 year hiatus. Details can be read here. The cheese pictured above is Vieux-Boulogne, made in the Pas-de-Calais in France, across the Channel from Dover. Despite its moniker, it is relatively new, on the market since the early 1990s. It fits well within the tradition of strong cheeses in the French north country, but is a relative newbie in the large family of French cheeses. 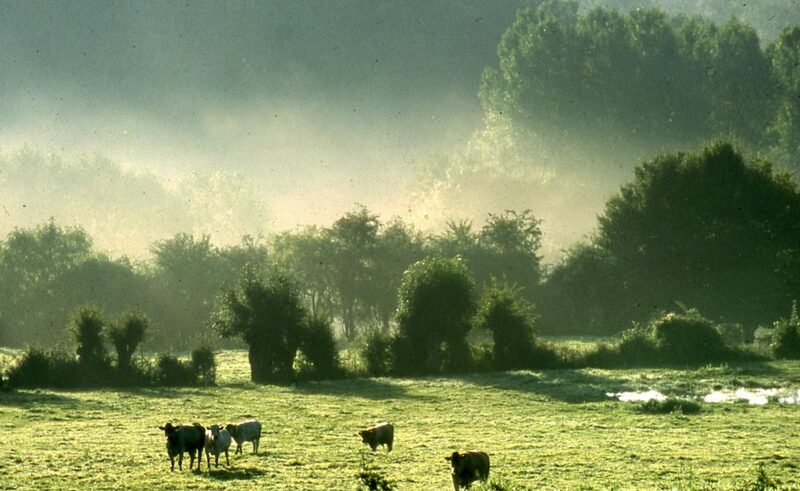 With rural depopulation, the industrialization of agriculture and the general modernity of life, France has suffered no less than other countries losses of many traditional products. In Ninette Lyon`s Tour De France (Gourmand) Des Spécialités Régionales (Marabout, 1985), she often states of a product, “if still made”, or “if still available”. The process can only have accelerated since then. But France was so rich in food diversity to begin with, at least since the 1800s, that there is still much left. More to the point, new traditional-type products are constantly being invented. They join to the previous tradition and form a seamless whole going forward. Vieux-Boulogne is a textbook example, but French cheese in general provides a good illustration. 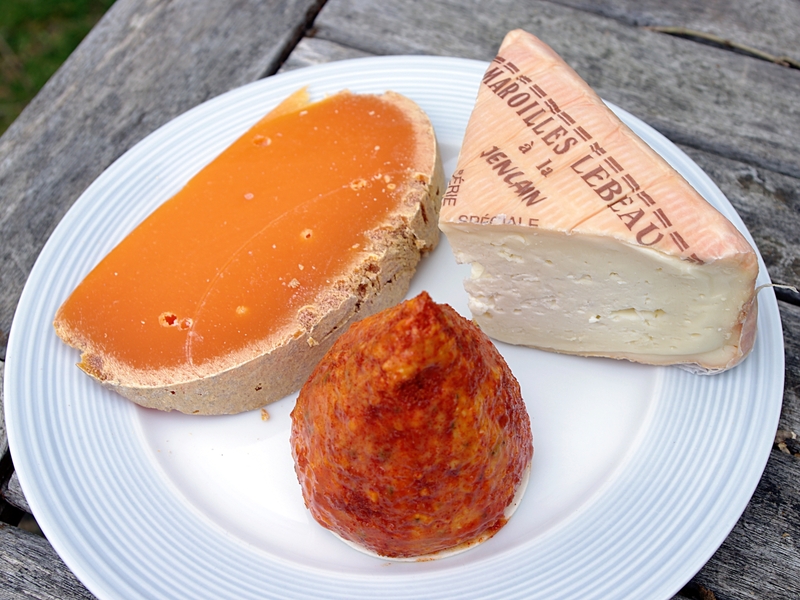 I’ve mentioned earlier that another northern cheese, mimolette, was devised to substitute for Dutch Edam whose supply was interrupted by war conditions. (I thought it was WW I but later read that one of the Napoleonic Wars was responsible. I still think WW I is correct, if anyone knows do tell me). Saint Agur Blue, a creamy, not-too-salty blue cheese which comes in familiar-looking, foil-wrapped cylinders, was developed in 1988. There is no village called Saint Agur, no saint of Christianity with that name. It is a product of commerce, but the cheese is excellent and now is in the pantheon of French blues. Vieux-Boulogne is a strong-smelling and tasting cheese of Boulogne’s windswept coastal plain and capes. The legendary cheese merchant Phillipe Olivier, of the shop that bears his name, developed it with local farmers about 25 years ago. 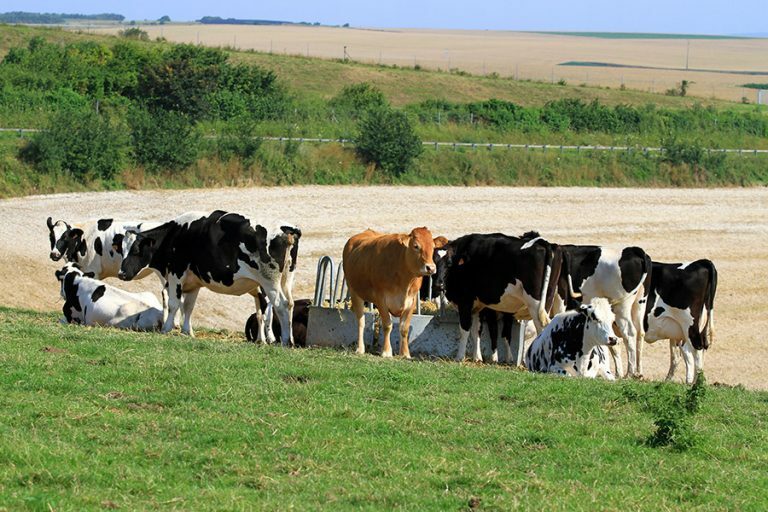 Cows grazing on only three farms provide the milk. The rind of the maturing cheese is washed with beer, the traditional drink of the northern pays. 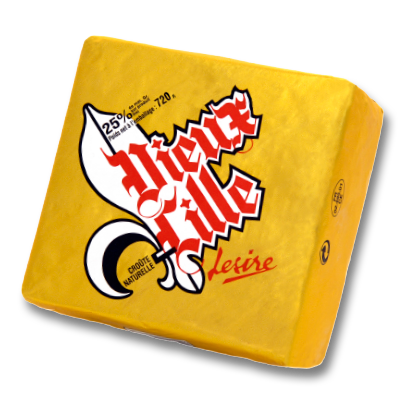 I wrote earlier of Vieux-Lille, another strong, beer-ripened cheese of the north, in this case from the interior, easterly of Lille. Vieux-Boulogne is the same general idea, but the way it is made results in a different product. Salt and minerals enter the soil from winds off the sea and lend a unique quality to the cheese. 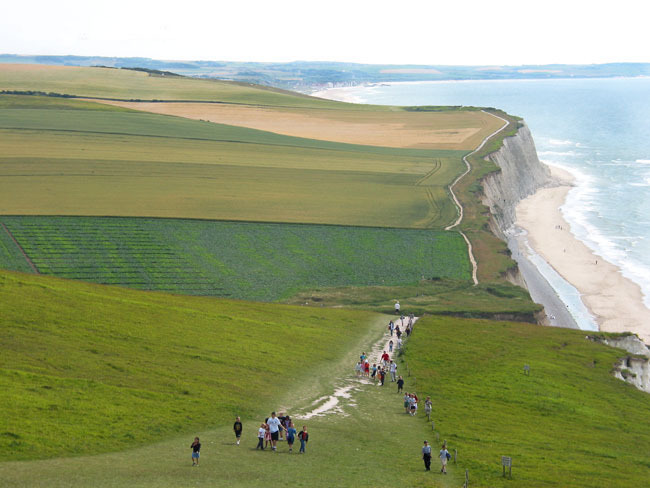 Cheese was apparently made on the coast near Boulogne in the 1300s. 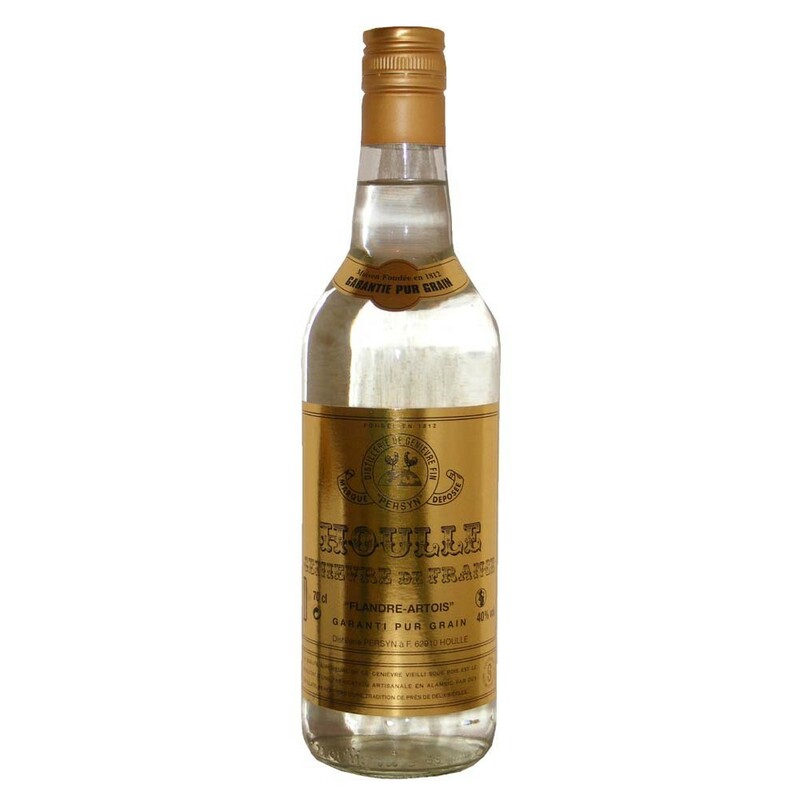 Some claim that Vieux-Boulogne is a revival of that tradition. Accurate or not, in practice the cheese is a new and valuable addition to the rich inventory of French cheeses. In effect, Vieux-Boulogne is already traditional: when and how it was devised is basically irrelevant. 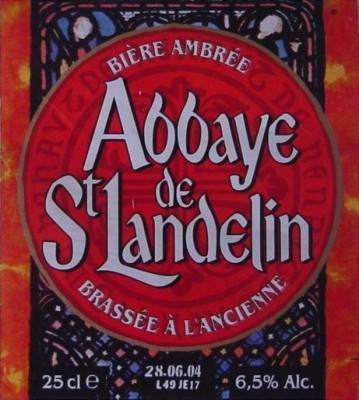 The resurgence of local brewing in France since the 1990s, especially in Nord-Pas-de-Calais-Picardie, is remarkable. I visited the region 20 years ago and there were, in that total area, about 20 breweries left, from thousands in the late 1800s. Today, Pas-de-Calais alone has about 40 breweries. One of these is Brasserie Artisanale des 2 Caps. Philippe Olivier worked with the brewery to devise a beer particularly suited to accompany northern cheese, the label is pictured below. Thus, an old tradition, small-scale brewing, has been revived assiduously after a long hiatus. In this sense, the U.K. and North America have done better, but we need to catch up on the food side. The French, too, may be forgiven their delay to restore the richness of 19th century brewing since the country as a whole was never primarily a beer-drinking land; we do not have that excuse. France has that special connection with food and drink, a spirit of interest to keep old traditions alive or restore them where feasible. It`s bred in the bone. When a country lacks a food culture as committed as that of France, the process is more haphazard. In the case of Liederkranz in the U.S., the cheese finally returned, but so many local cheeses have been forever lost, there and in Canada. Small-scale producers are trying to repair some of the loss, and to be sure Ontario and Quebec cheese-makers make some interesting and unique products. Finding these can be a challenge though. In France, Olivier has five shops spread through the upper section of the country which offer the house’s superb range in perfect condition. Of course, France is much smaller than Canada and the U.S., but I think at bottom the difference is cultural. Whether artisan food will survive in France under 21st century conditions of commerce and general living, remains to be seem, but even in the millennial age the food culture seems alive and well. That frozen food shops and large supermarkets are legion is undoubted, but artisan food culture has not been rubbed out of French genes, not yet. Note re images above: The first image, of Vieux Boulogne, is from the website of La Fromagerie, the top-class London cheese merchants. The second image is from the website of the French Regional Council for Nord-Pas-de-Calais. It was sourced here. The third image is from Villa Opale, a tourist accommodation site, here. The fourth image is from the website of the Brasserie Artisanale des 2 Caps, here. All are believed available for educational and cultural purposes. All feedback welcomed. There are numerous cabbage dishes in the mid-northern belt of Europe, made a variety of ways depending on the region, although certain patterns emerge. The area around Lille, in the far north of France (Nord-Pas-de-Calais), has a way with red cabbage that is particularly good. 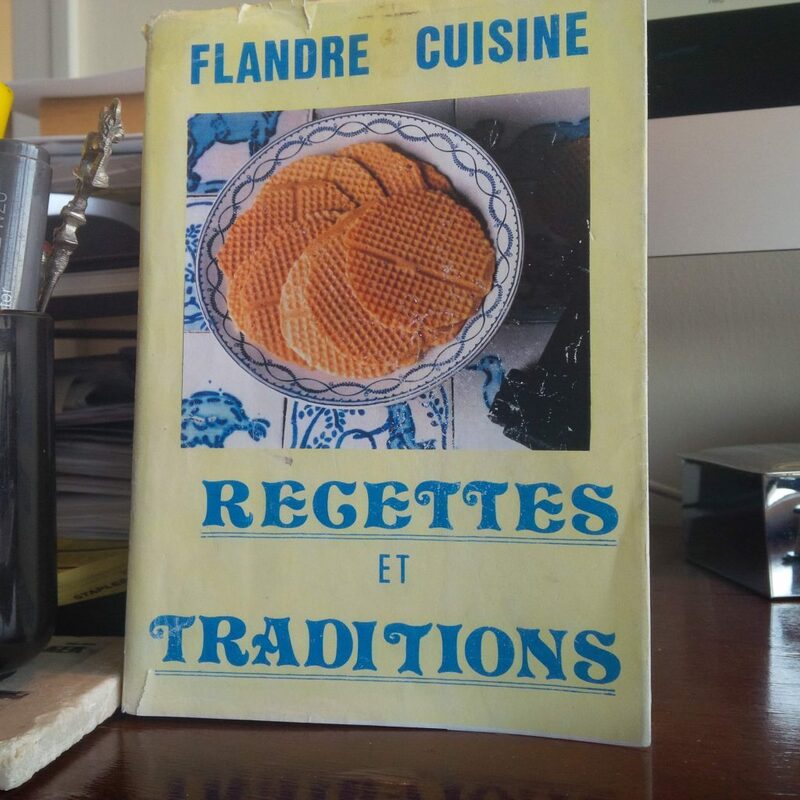 Even there of course it has variants, but the recipe in its purest form is contained in the 1990 book pictured, Flandre Cuisine Recettes et Traditions, edited by Michel Loosen and published by Foyer Culturel de l’Houtland. The Foyer is a group based in Steenvoorde which promotes the cultural heritage of French Flanders. The book is amongst many published by this group covering a broad range of historical and other topics of culture or heritage. The book is unique in my experience in that it contains not just many valuable recipes of this border region of France where a dialect of Flemish is still spoken, but also drawings, proverbs, songs, depictions of costumes, and other elements of folklore. The book can be purchased online and I encourage those interested in this little-known part of France to buy it to get a real sense of what life was like traditionally there, perhaps still is. Here is one source to obtain it. The recipe in the book is very simple. It is red cabbage, onions, butter, beer, brown sugar, salt, pepper – that’s it. Variants in other books and online sometimes include apple, or juniper berry, or nutmeg or that kind of spice. Sometimes vinegar is advised with the beer, or on its own. Red currant jelly is sometimes suggested too, in lieu of the sugar. Some sweetening is necessary to the dish, it is by nature a sweet and sour preparation and is a survival of medieval times when this combination was well-liked. I have found that the recipe shown is the best one – the flavours emerge purely but well-melded. The dish needs long cooking, three hours is advised. Cabbage is one of those things you must cook for a short time or a very long time, but with beer or other alcohol, the long method is necessary IMO. The recipe is so straightforward that even with basic French anyone can easily follow it, but if anyone asks I will give some English directions. French Flanders has numerous ways with cabbage both red and white, some use red wine, some white, some use stock or water or a combination. The beer-and-red cabbage one seems particularly associated with Lille, the chief city of the region, hence the name Chou-Rouge A La Lilloise, or Red Cabbage Lille-style. Although I have said here you can use any beer in cooking, with this dish I find a flavourful blonde beer is best. Any good, all-malt lager would work well. But in a pinch, use anything you have, certainly, it will never be bad. I suggested yesterday Jane Grigson probably had little interest in cooking with beer. Today, I will mention two recipes where she did use it, excluding Welsh Rabbit-type dishes or beer in batter, which are stereotypical. In her Fish Cookery (1975), she gives a recipe for carp with beer, mentioning the Polish, German and Christmas associations with this dish. The recipe is similar to those found elsewhere with its sweet-sour, fruity sauce. A honeyed spice cake figures in the recipe, a counterpart to the Flemish use of crumbled gingerbread with some beer dishes. Grigson was a proponent of using carp in general but preferred to cook it simply outdoors, in foil over charcoal with a splash of white wine and herbs. For this she advises to get a wild one which runs through good fresh water, to avoid the muddy taste (or you can soak the fish first). The English food writer Mary Norwak, in a book on country cookery in the 70s, suggested ginger, included in Grigson`s carp-and-beer, as the defining spice for a pork roast coated in flour and bathed with beer. All over the northern belt of Europe, one notes such constant associations in the cooking. The regions were much less hermetic than is often thought in this way. You can apply a similar analysis when looking at the alcoholic spirits in these areas – and the beer of course. 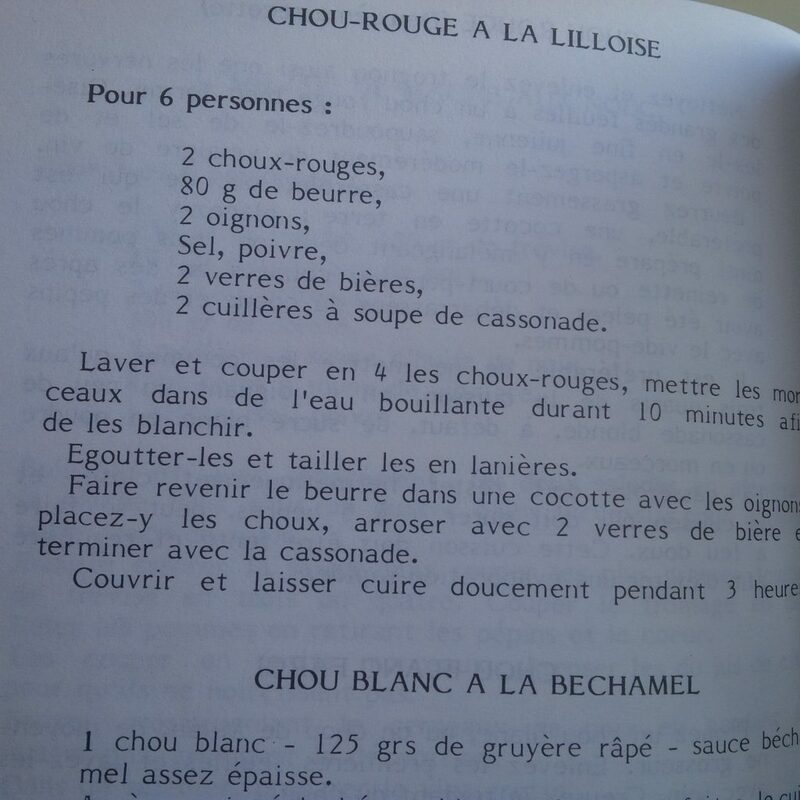 Grigson`s other recipe with beer I’ve found is in Jane Grigson’s Vegetable Book (1978). It is baked beans with molasses, sugar, duck, ginger again, and some other interesting elements. It happens to be online and you can view it at p. 87, here. As she explains, it is from a book by American food author Evan Jones, whose mother had given him the recipe. She was a Canadian, of Welsh ancestry according to the New York Times obituary of Jones. She had lived in the Maritimes and ended in Minnesota where she married Jones’ father. I’d guess she had moved to Manitoba or Alberta first, a common migration pattern at the time, and then south to the U.S. Evan Jones was a noted authority on traditional American cooking, he died about 20 years ago. Grigson explains that his recipe has a decided sweet element which links it to Boston baked beans and distances it from the French cassoulet. This makes sense as Boston beans, the signature of which is molasses, was known through New England and into the Maritime provinces in Canada. The New England states shared much with Nova Scotia and the other Maritime provinces due to a common coastal and trading culture and similar ethnic origins (Protestant English or other British). Now, why would Grigson include this in her book? First, because the book didn’t deal only with British ways with vegetables, but also I think to establish a link with the old English dish of bacon and beans. The very English writer Elizabeth Ayrton had a recipe for beans and bacon in her The Cookery Of England (1974). She even calls for molasses and dry mustard, hallmarks of the American dish, yet makes no reference to Boston, New England or America. There is a good reason: the dish is English in origin, as so many dishes connected to New England. There is a story of an English king visiting one of the Royal Docks, I believe at Woolwich, and sharing with the men their beans and bacon. And numerous older English cookery sources give a recipe for it, or the similar beans with salt pork (or peas with bacon or pork). They don`t refer to any American inspiration. In the early days, Britain gave lessons to the Colonies on cookery, not the other way around. The pilgrims surely brought it to America, ditto the doughnut and many other foods considered quintessentially American. Some may consider New England innovated by adding molasses. Given the basis of the dish, bacon and beans, goes back many hundreds of years in Britain and the sugar and molasses trade concerned Britain no less than its possessions in North America, I would doubt New Englanders liked the dish with molasses and no one in England did. 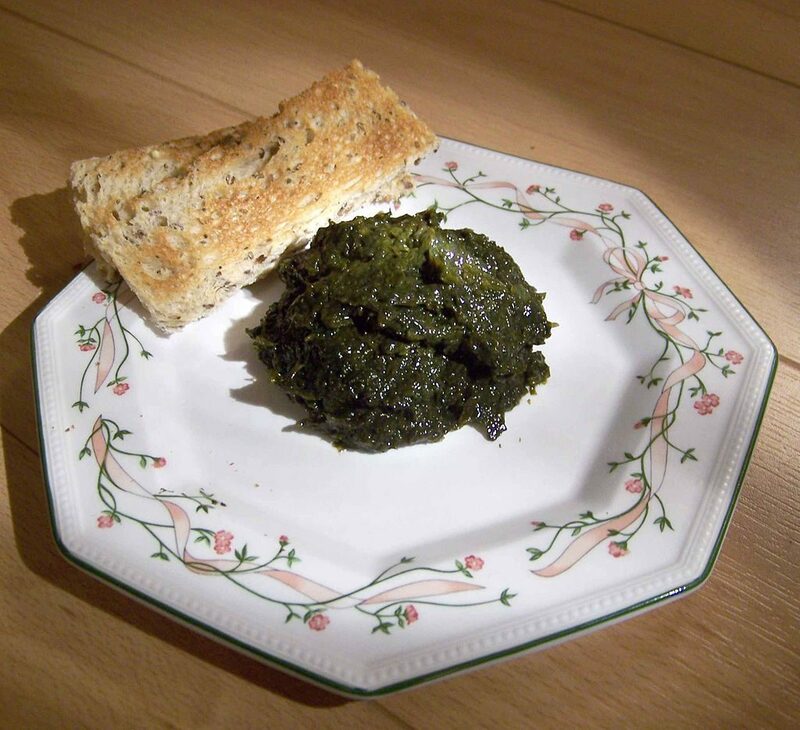 The standard English way since the 1700s seems to have been with parsley and butter, but I haven`t checked exhaustively and would wager some people in Britain added a touch of molasses or other sugar if they had it. Otherwise, it doesn`t make sense Elizabeth Ayrton – a very knowledgeable authority on the history of English food – would call for it without making further comment. In modern times, beans and bacon has faded from the British repertoire, at least as a set piece, while the Americans have kept it going. Both Ayrton and Grigson help us to remember its English roots. Interestingly, Ayrton advises to use half cider and half water if liked: this brings Jones’ and Grigson’s recipe even closer to England, as beer and cider are suggested as alternate mediums for numerous English dishes. Readers who airily dismiss any idea of long-simmered pork and beans as English might reflect on the enduring popularity of tinned beans in England. Beans and toast, a popular quick meal and long associated with those of modest means, is an example. To the retort, no one eats it anymore, first I doubt that, second, how about the essential place beans has in the cooked U.K. breakfast, indeed with the … bacon invariably nearby? The folk memory retains very old associations, and perpetuates them in forms which a little thought can easily penetrate to their core. So it’s all related and it all ties in. A last – or for now – association in Jane Grigson`s work with beer, albeit indirect: in the vegetable book, she has two pages on cooking hop shoots. She discusses the different ways they can be harvested and how to spot them in the country, even outside the hop gardens that is. I can tell that she enjoyed a glass of beer, at least with certain dishes – she mentions its suitability with Alsatian sauerkraut, for example – but remain convinced beer was not a standby for her in the kitchen. 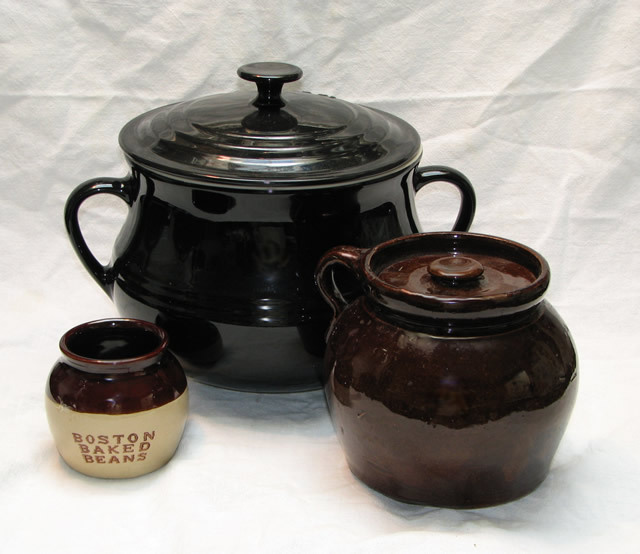 Note re images: the first image, of a bean pot typical of New England, is in the public domain, and was sourced here. 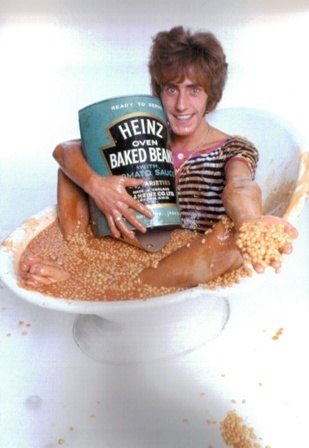 The second image, of Roger Daltrey of The Who, was sourced from a news article on the rock star, here. A similar photo appeared on The Who`s 1967 album, The Who Sell Out. Both images are believed available for educational and historical use. All feedback welcomed. 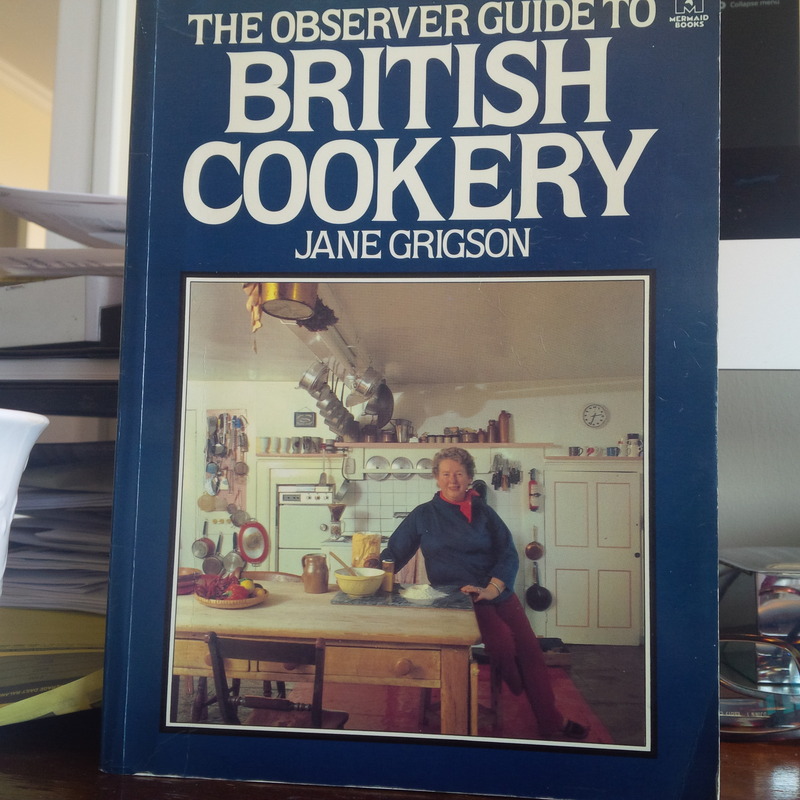 I’ve mentioned Jane Grigson (1928-1990) a few times as a premier English food writer of the post-war era. She was raised in County Durham, Oxbridge-trained, and was married to the poet Geoffrey Grigson. They were one of the intellectual power couples of their time, but of a more retiring, cerebral sort than is common today I think. Grigson (nee McIntire) wrote books on English foods, on vegetables, French pork cookery, fish, Italian food, and other areas. She had a good publisher and was followed by a loyal coterie of thinking cooks. Many were busy householders but with the interest to know that little bit more about food – its historical and cultural aspects in particular – than those who simply want reliable recipes or to try new foods. Jane Grigson’s like must still exist today – I hope so at any rate – even in the age of celebrity chefs such as Nigella Lawson and Jaime Oliver. Perhaps I just don’t know the names as well as 20 years ago. In North America, Jehane Benoit and Julia Child, as well as James Beard and others, were her contemporaries although not quite the same I think, more popularizers and explicators. Grigson was that but more, she was a writer whose erudition spoke through all her work while retaining a practical, straightforward bent from her north-east background. Last year in The Observer a fine appreciation of her work appeared, which should be read by anyone interested in the British Isles and culinary matters. 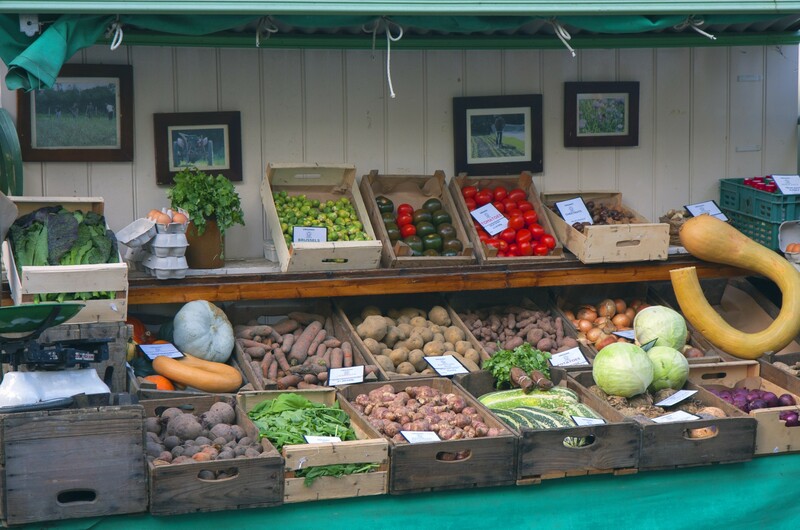 As the writer explained, Grigson foresaw modern trends such as the return of farmers markets, the emphasis on traditional products and breeds, reducing processing where possible, and an appreciation of Britain’s often-misunderstood culinary history. The fashion in recent years for serving beef cheek, say, and board charcuterie and that kind of thing, was something she promoted when these foods were at best little understood or regarded as primitive survivals. Her 1984 The Observer Guide To Regional British Food was written with Derek Cooper, he did the parts on drinks, mainly beer but also cider and whisky. They searched out the traditional products of the regions especially unusual ones or those rescued from history. This meant the fish cures, seafoods, hams, lamb dishes, breads, poultry, cakes, vegetables, salts and herbs, and local beers or ciders. The book is illustrated with excellent photos and is written with great knowledge and passion. Her trademark scholarly approach is evident but it informs, even entertains, rather than fatigues. Many surprises are revealed by her knowledge. At one time in the West Country, garlic was valued by the local people. She offers a dish of veal with garlic and saffron, another old West Country favourite, from the famed Devon hotel, the Horn of Plenty, to reflect this old tradition. It puts paid to the notion the British always disdained garlic. Certainly York does not bother much about its hams, not in the way a French town would with posters everywhere and a series of placards at the town boundary – “Bienvenue à York – sa cathédrale – ses jambons – ses Yorkshire poundings – ses Yorkshire pies de Noël”. What a dreary impious lot we are, no sense of fun, no pride! 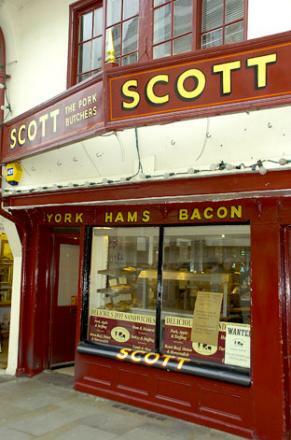 In fact you have to hunt down Scott’s, which is quite near the Minster, before you can find anyone who knows what you are talking about. Sadly, Scott’s closed in 2008, this press report explained why. What was lost was precisely what Grigson was trying to arrest. Of the black-skinned Bradenham ham, she notes it originated in Bradenham Park, Buckinghamshire, where Benjamin Disraeli once had a home. She muses, “I cannot imagine he had much to do with its development”. Pointing to where Jewish Britons contributed to the quality of national cuisine, she lauds the Jewish way with salt beef in East London. To wit, she mentions “Gold’s in Baker Street, near the Classic cinema“, which reached a high, and consistent, standard. Who knows if it still exists – certainly the theatre is gone. Then too, newer traditions will always enrich the London scene. If Grigson was writing today she would include them no less. Grigson notes tartly that someone once observed “traditional” means something at least 15 years old. She would have understood, for example, that the French regional repertoire is largely a recent or at least relative concept. One can see this in British Cookery, as she explains what one ate was partly a result of one’s means and class but also how one’s mother cooked – it differed with each family especially before recipes were written down and widely disseminated. Her description of the food of “great houses”, where gentry and aristocracy resided, is revealing, yet so is her discussion of Lancashire tripe, which she liked – one variety of it is mentioned for its “chickeny” flavour. In this, her contemporary William Fowler disagreed, thinking tripe tasteless: he fed it to the minks on his farm! To be sure an area has its ingredients which arose from local soils, gardens, waters, livestock, husbandry, but these were combined often in more ways than appear from recipe books. She therefore reminds us of the individualistic side of cookery, that a regional guide is not a code. This has assisted my thinking on English beer cookery. If the available sources seem to suggest it had limited application in English food history, well that only goes so far. Some families may have used beer more than others. Perhaps they just liked it or had worked out a way to get particularly good results. In my three part discussion of beer in English cookery recently, I discussed how William Fowler used beer in numerous dishes, and no one was more English than he. Anyhow, if foods are characteristic of a region and you feel you can combine them to good advantage, go ahead: the recipes in her book are illustrations, not a set of bound rules, is her message. Beer Et Seq’s interest in dishes cooked with beer isn’t, in fact, met by Jane Grigson’s own work, which includes only a few such recipes: Gloucester Cheese and Ale (like Welsh Rabbit), beer in Christmas cake, and the Sussex Stewed Steak dish which she explains is from Elizabeth David. She does offer a porter cake from Ireland, which sounds very good. Her other writings on English food, those of which I am aware, disclose a similar lack of interest in this area. She does like cider in some dishes though, and gives a few recipes. I think she probably didn’t like the taste of beer in food, and fair enough. [It] began, I suppose, with the Cistercians who swarmed all over Europe in the first half of the twelth century with an intensity of agriculture. They settled their communities with an eye for sweetness of site and efficiency of operation that makes the ruins they left behind a pleasure to visit. She contrasts to the northern tradition – the best of it – the “impoverished state of public food”, the relatively low standard of publicly available food in Britain (restaurants, cafes, markets) compared certainly to France in the same period. Has anything changed in Britain in 30 years regarding her point that the British need to understand better their culinary history, to offer a better average standard of food? I can’t really say, perhaps readers in Britain would offer their opinion. Some things surely have changed for the better and I’ve seen some evidence of it myself, e.g., Borough Market in London, the gastropub (which London invented), and the proliferation of snout-to-tail and “market” restaurants focusing on seasonal products. However, there is such a continual interest in foreign foods that I wonder if Britain’s own culinary legacy is still too often overlooked. Beer is an area I know better, and there I’d say the English have “looked back” with great interest and passion. Since the 70s, they have ensured notably the survival of cask ale – along with welcoming foreign innovation, notably U.S.-style craft beer. It may be that the gustatory passion of the British is most expressive for fine drinks, not least their own beer, whisky, cider, and some of the wine being grown there now. And that’s fine, the contributions of the British to the realm of drink are legion and internationally acknowledged. If English and other British food never rose to the heights of neighbouring France, there is the consolation of the great English writing on food and food history, not least by Jane Grigson. 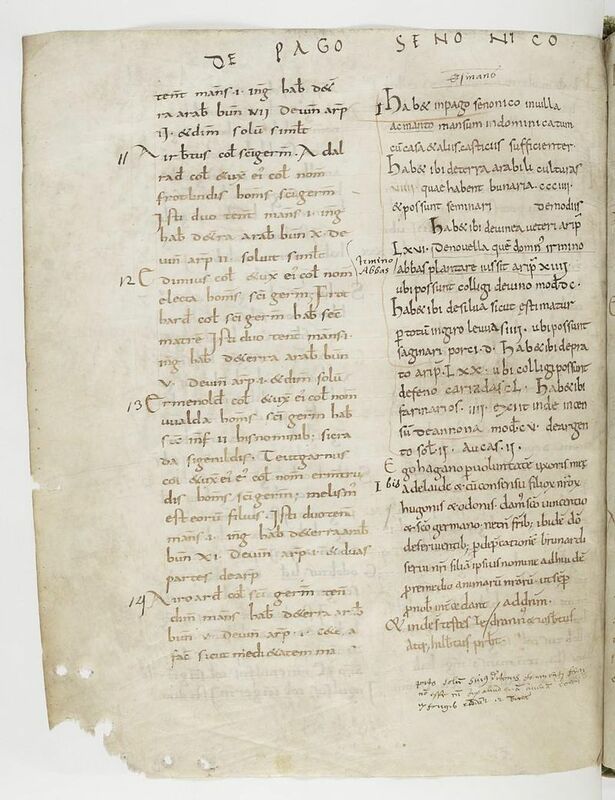 Note for all images above save the first: the second, a 13th century recipe from a manuscript, was sourced here. The third, from the news story on Scott’s linked above, here. The fourth, a Suffolk black ham, here. The fifth, here and the last, laverbread and toast, here. All are believed available for educational and historical use. All feedback welcomed.